Water quality management is perhaps the most important aspect to control when it comes to keeping a healthy balanced interaction between the water conditions and the species. There are a number of factors that interact with each other that can affect positively or negatively the dynamics of the ecosystem. Therefore, getting to know these features becomes essential when keeping a well balanced and easy to manage aquarium is desired.Whether you choose to have a salt water tank or a freshwater tank, you will need to take care and protect your system and equipment, however, as salt is a corrosive agent, a freshwater tank may be more recommended for beginners because it may be easier to maintain. Select, establish and manage both freshwater and salt water aquaria of varying sizes with different species of plants and animals. Discuss the scope and nature of aquarium use and management. Explain Water Quality and Management. Determine appropriate species of animal and plant life to introduce into an aquarium. 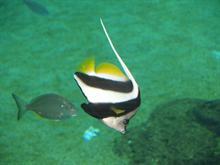 Identify common health problems with fish, other animals and plants in an aquarium. Determine appropriate treatments in response to health issues. Explain the establishment of a freshwater aquarium. Explain the establishment of a saltwater aquarium. Explain the maintenance of an aquarium. Explain how to breed a range of different fish. An aquarium is basically the recreation of an underwater ecosystem. In order to maintain similar conditions to the natural environment and habitat of the species that live in the tank, it is necessary to maintain constant water conditions as well as optimal water quality levels specifically required by each organism in the aquarium tank. To reach these conditions, it is essential to be familiar with the right type of equipment in order to supply the appropriate environmental conditions that each species requires. Whether you choose to have a salt water tank or a freshwater tank, you will need to take care and protect your system and equipment, however, as salt is a corrosive agent, a freshwater tank may be more recommended for beginners because it may be easier to maintain. The ecosystems we may want to recreate in an aquarium can differ widely, just as they do in nature. By finding out about the biotic and abiotic components of any natural ecosystem we discover a great deal about how fish, plants and other organisms can be safely and effectively raised in a biotope aquarium which simulates the natural environment. Sea water is composed of 96.4% pure water and 3.6% dissolved minerals or salts, of which around three quarters is common salt (sodium chloride). Other salts include sulphur, magnesium, calcium and potassium, although a huge range of minerals are found in sea water. The vastness of the oceans means that the composition of sea water is fairly stable around the world with an average of 36 ppt (parts per thousand) of salinity and a pH of 7.5-8.5 making sea water slightly alkaline. This means that marine fish and other organisms kept in aquaria are used to a very constant and stable water composition in terms of salinity, osmotic pressure and pH levels. Unlike sea water, fresh water quality and composition can vary widely between different ecosystems. Many substances, minerals, compounds and pollutants can become dissolved in fresh water as it falls from the sky and flows through rocks and soil. Therefore `fresh’ water can range from completely pure, demineralised water created via distillation or reverse osmosis systems with a pH of 7.0 to low mineral, soft water with a neutral pH from clean rain water or some springs, to `hard’ high mineral, alkaline fresh water from rivers, lakes, streams and some wells. This means that fresh water habitats differ in water composition and the species which have evolved in these ecosystems have usually adapted to particular water quality aspects. Some of the more commonly replicated ecosystems in aquaria take advantage of these differences in fresh water composition. A soft water, acidic Amazon species tank will differ in water quality from hard water, more alkaline African rocky lake tank, while other aquarists may prefer a mixed species aquaria for fish and plants from around the world that are tolerant of a wider range of water conditions. Coastal streams, estuaries and mangrove swamps are some examples of brackish water ecosystems. This is where fresh and salt water mix, often governed by the rise and fall of the tide. The salinity of brackish water can range from 1ppt to 36ppt at different points in the ecosystem and is often continually changing. Brackish water ecosystems are often inhabited by both tolerant fresh and marine species that are able to thrive, feed and breed in this changing habitat.